My last short stint at soccer (below) ended two decades ago, due to, according to my mom, “too many people kicking me in the shins.” I’ve avoided soccer ever since and am quite confident at my awful-ness at it. I am not a “foot-sport” person, I’ve said many times. For many people I meet on a daily basis (students, that is), math is their soccer. They claim to not be “math people” and it irks me because I’m convinced there’s no such thing. For some of my students, entering my class means leaving their comfort zone daily. So, for empathy if nothing else, I decided recently it was time for me to return to the soccer pitch. Terror. Anxiety. Those are the words I used to describe my emotional state earlier tonight, two hours before the first game. I had intended to practice prior to showing up and I had intended to show up early to warm up and make nice with the people on the team, but neither of these things really happened. I dreaded going to this game, and almost didn’t show – my impulse was to search for something I had to do that I could deem more important. I show up, look around and notice my teammates’ assorted soccer gear. To them, theses are all the tools they acquired over the years to give them a tiny extra edge and to feel comfortable and confident out in the game. To me, these are all status symbols adding to the intimidation factor, letting me know they’ve all played soccer before, probably at high levels. I didn’t even think to buy shin guards! So despite my efforts to warm up as discreetly as possible in the corner, my secret about being a terrible soccer player is slowly but surely becoming exposed. It’s a couple minutes before kickoff, and the status of our goalie has just changed from tardy to absent. Thinking, “I watched Tim Howard in the World Cup” and that this was a golden opportunity to avoid using my feet, I step up. Someone tosses me some gloves, and it’s on. More terror. More anxiety. I’m standing still but breaking a sweat as I wait for the ball to come to me. I try to think about what I’m going to do in certain scenarios, but I don’t even really know what those scenarios are in enough detail to come up with anything useful. A ball rolls out of bounds well wide of the goal, and I retrieve it and suddenly I forget everything. The phrase “goal kick” comes to mind, but what does that mean? Who do I kick it to? How do I kick a soccer ball? My brain is frozen. I put the ball down in some place on the ground and the ref corrects me. I lift my arm and point in some general direction and literally SWING AND MISS with my kick. Actually, let me correct that: I just nick it and the ball dribbles a few inches sideways, spinning. At that moment, I knew my cover was blown. I laugh, because what else should you do when that happens, but deep down the anxiety grows. A few minutes later, the other team took a shot on goal that came in very fast, deflected off of me and went in the goal. 1-0. I’ll spare all the details. I ended up giving up 3 goals and our team lost 3-1. For the purposes of analogizing this adult out-of-comfort-zone experience to what many kids by law must experience on a daily basis, there are some elements of this story I find interesting. I’ve talked a lot about the emotional component of the game; the acute self-awareness and self-consciousness I felt. No person – adult or kid – wants to be exposed as being bad at something; saving face often is the top priority. This has a real impact on performance – it’s difficult to do your best when you’re trying your hardest to not look stupid. Not looking stupid runs counter to risk-taking. Self-sabotage also comes into play. My commitment to soccer was clearly half-hearted. I didn’t practice at all beforehand, I didn’t get the right gear, I didn’t show up early. None of that was intended, but my subconscious has hard-wired me to believe that I DON’T LIKE SOCCER. I’m conditioned to dedicate as few minutes and as little brain space as possible to soccer. What’s most interesting, and perhaps most applicable for the purposes I’m looking for, is what happened after the final whistle. I have been on many sports teams in my life, and when they are new, status is still being figured out. Usually it only takes one game for the team’s norms to become solidified – the people with actual talent at the sport call the shots in the huddle after the game. They talk more (they more or less decide if we had a bad game or good game, for instance) and they generally set the mood of the team. The “good” players also tend to become buddies with one another and the “bad” players tend to form a group as well. It’s all very fascinating to watch unfold. I was curious about what our team would do at the end of the game; what our game-end chit-chat would look like, if any, or if our team would go our separate ways. There was a lot riding on this, specifically, whether I show up again next time. For kids, of course, they MUST physically show up to school the next day, but make no mistake, their choice is actually quite similar. It’s an easy transition from anxiety and terror – truly exhausting emotions – to frustration and then to apathy, disengagement and more self-sabotage. They may be physically there, but physical presence doesn’t say much. I can’t express how much that meant and how it changed my outlook. 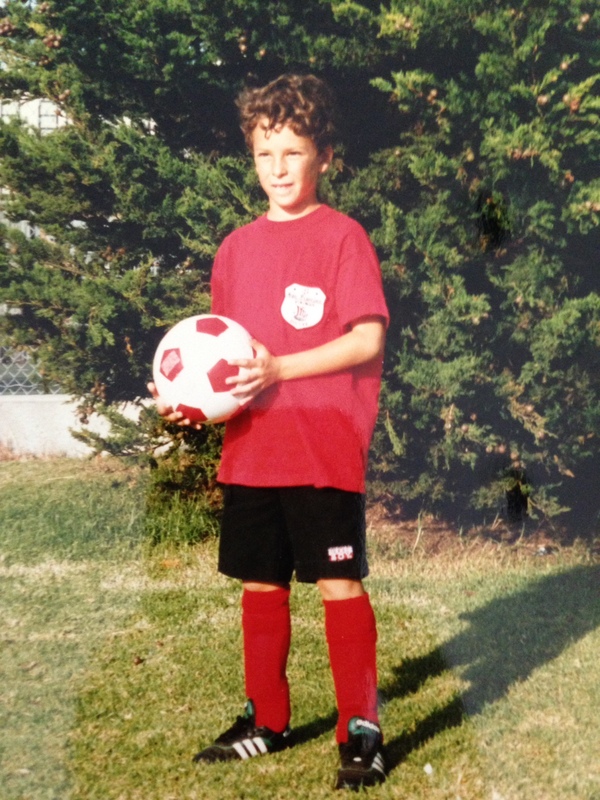 My secret about being a bad soccer player was out there. It WASN’T taboo. In fact, the guys who are really good think that if I work at this soccer thing I could be good. Isn’t that neat! And now, I have some specific things that might help me along this path. See you next week! Update: I scored a goal.